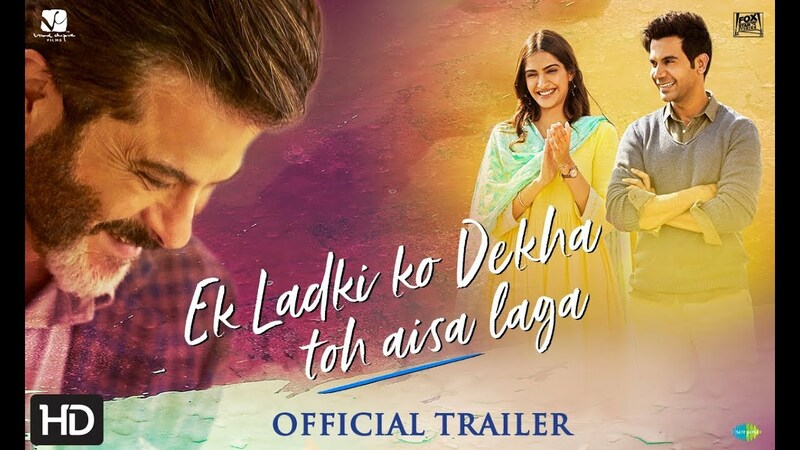 Actor Sonam Kapoor has shared a new song from her upcoming film Ek Ladki Ko Dekha Toh Aisa Laga. The song, titled Good Morning, is picturised on the entire star cast of the film including Sonam, Anil Kapoor, Rajkummar Rao, Juhi Chawla and others. Good Morning is full of energy, one that people rarely experience in the early hours of their day. It begins with a jovial Rajkummar waking everyone up in a sleepy household and sharing his excitement with them about the task that lies ahead. Together, the entire family then helps him set up a theatre stage for his play. They prepare costumes, make stage art, posters for the play and even advertise it through the town. “Don’t just be in love, be woke. Listen to #GoodMorning now using the Link in Bio,” Sonam captioned her Instagram post about the song. Before Good Morning, two other songs from the film had been released, Ishq Mitha and the film’s title track. Ishq Mitha was composed by Rochak Kohli, and sung by Navraj Hans and Harshdeep Kaur. It is the revamped version of the popular Punjabi track ‘Gud Naal Ishq Mitha’ that released about 18 years ago. The original song features Jas Arora and Malaika Arora. The recreated song features Anil and Sonam dancing at a wedding function. Regina Cassandra, who is reportedly playing Sonam’s love interest in the flick, is also seen whistling and dancing along with Sonam. The song also shows Akshay Oberoi as he tries to bond with Sonam’s character during a mehendi ceremony.